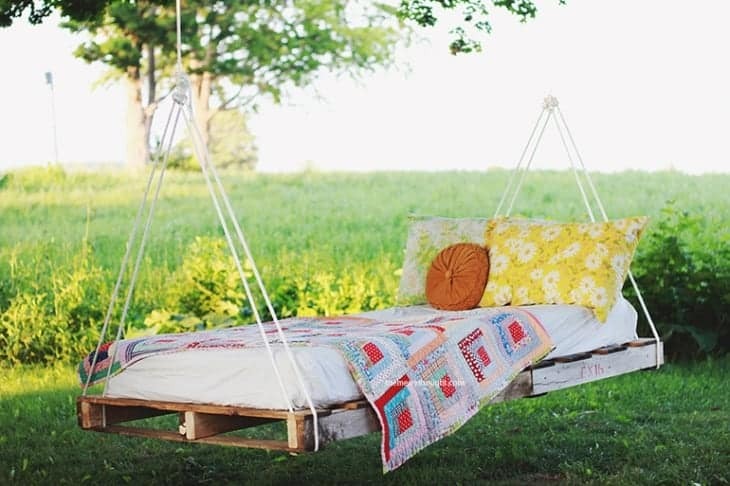 Isn’t this bed swing beautiful? It makes me want to take an afternoon nap right outside. 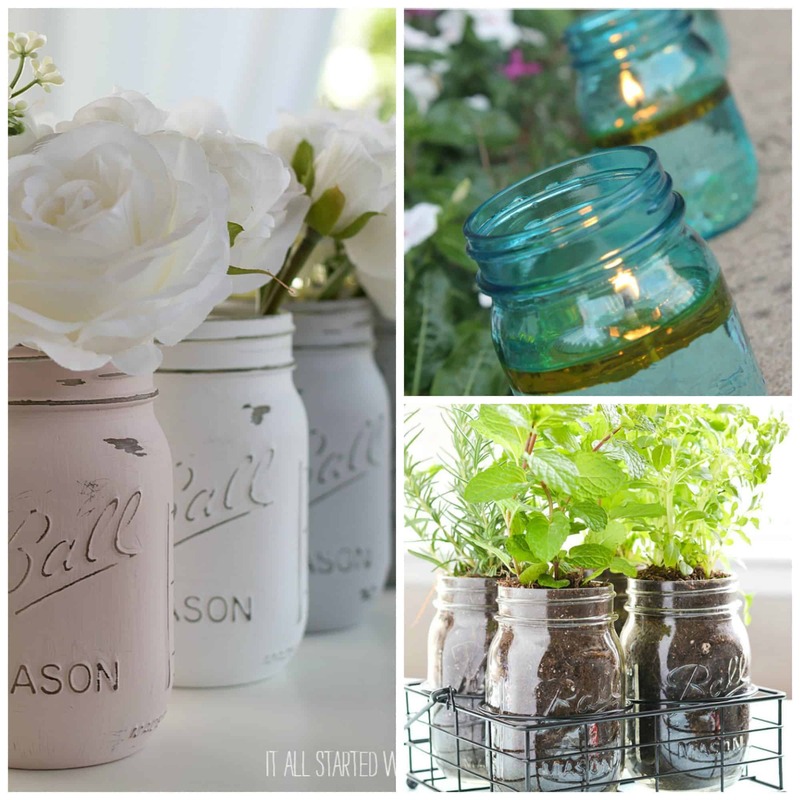 Do you have a beautiful outdoor space? 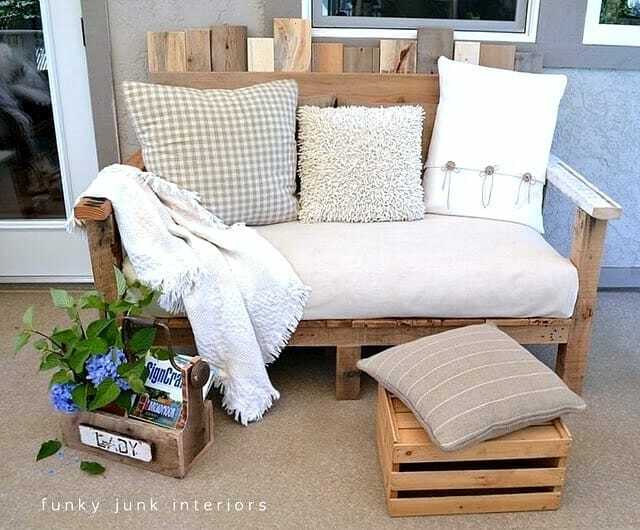 This would be a wonderful DIY project for a comfy place to sit! 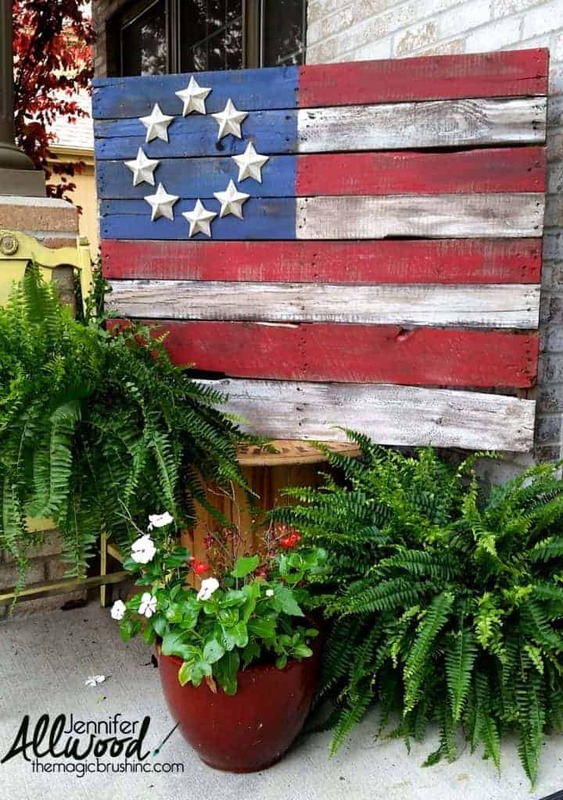 Check out these gorgeous flag pallet ideas. What a wonderful decoration for those summer patriotic holidays. 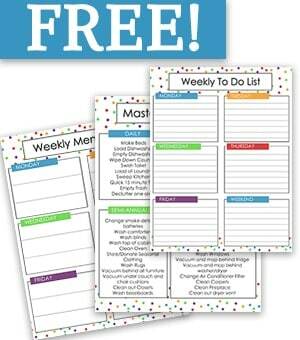 Looking for a way to organize all your garage and outdoor tools? 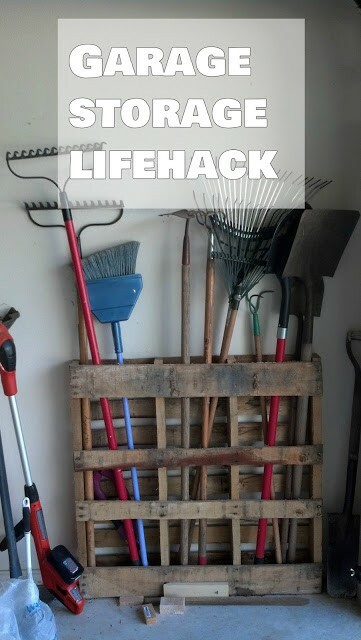 This pallet idea is a great DIY project for all your garage storage! I have a pool so I love this idea! 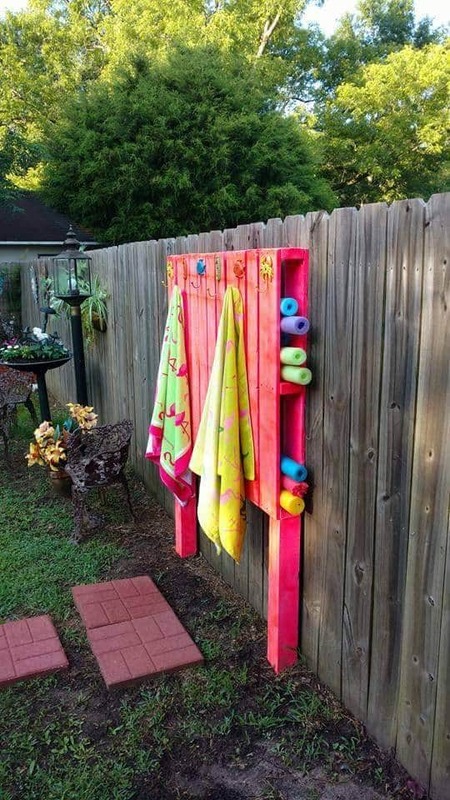 It is the perfect storage spot for all your pool accessories and towels and it looks really nice! 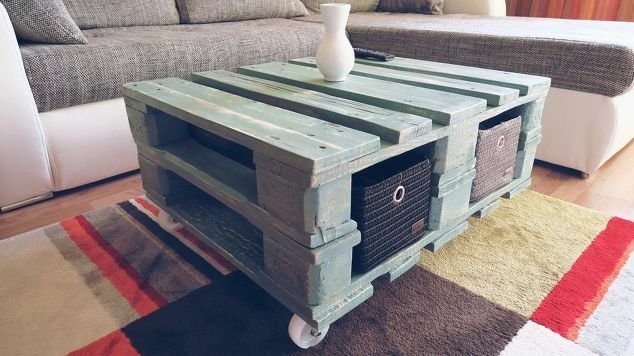 I am in love with this coffee table. 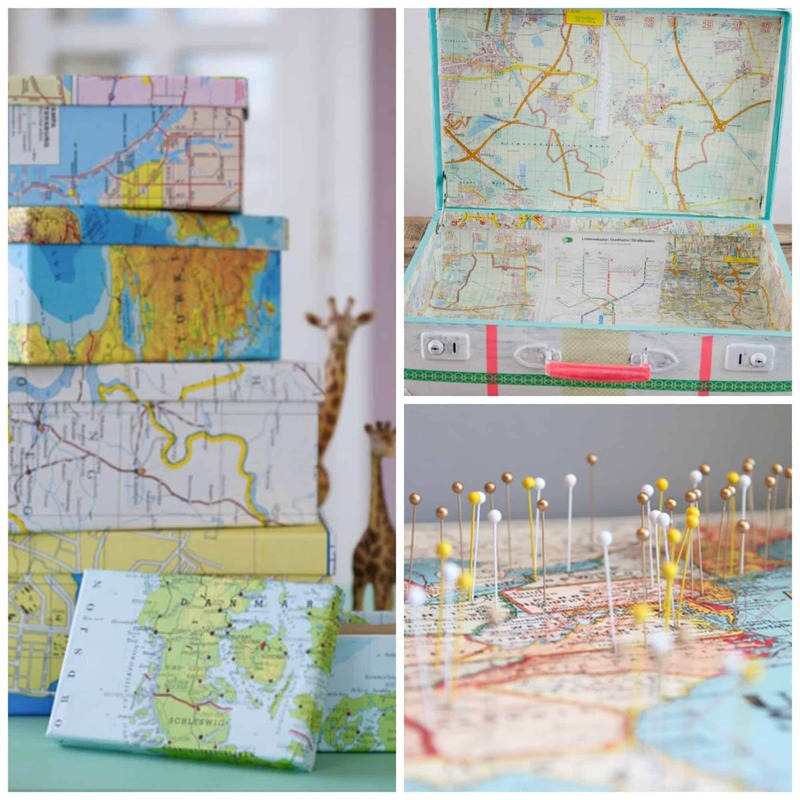 It is vintage, looks so charming and would make a great addition to any living room! I also love the storage underneath! 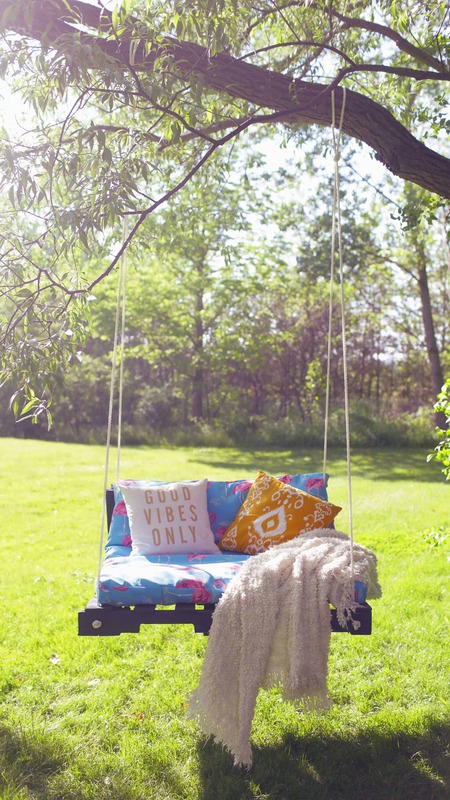 Oh, how I love this swing! 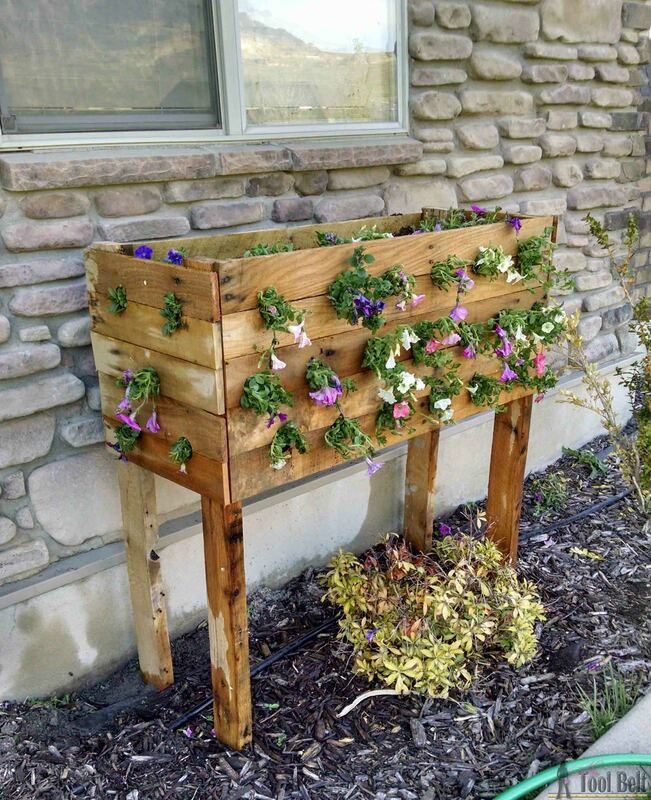 I think I have the perfect place for one of these in my backyard and I’m definitely going to ask hubby to make me one. 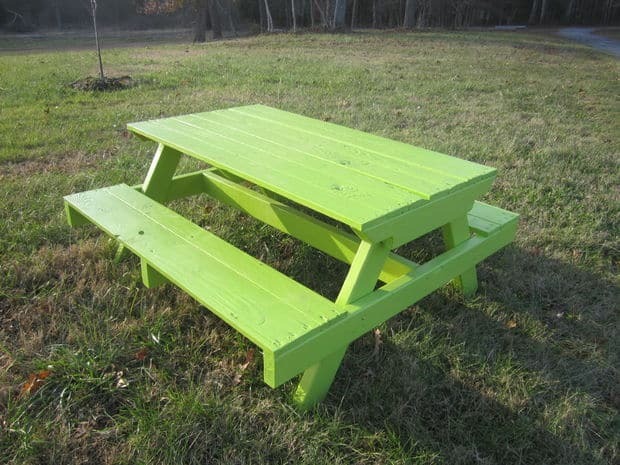 I have always loved picnic tables and this one for kids is adorable! They would love having lunch outside this summer. Who knew you could stencil your pallet floor? This is so cool! I think this bed looks so cozy and has a beautiful charm to it. What a wonderful place to hang your coats? 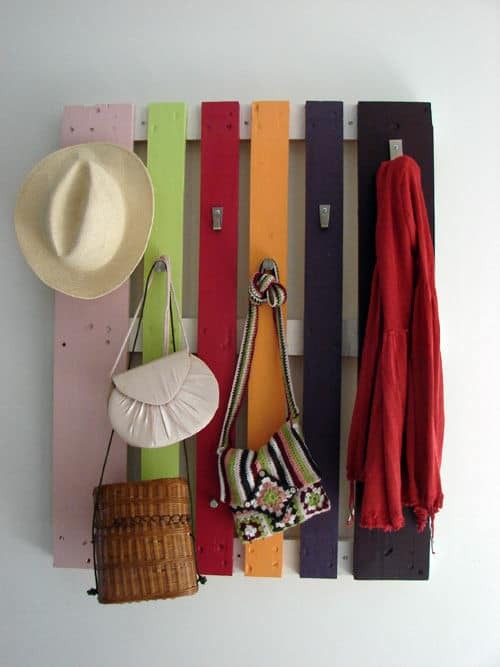 I love the way it looks, makes hanging your coats seem inviting! 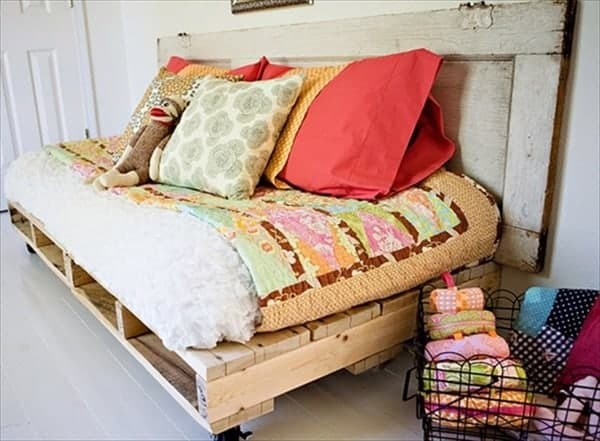 I just love all the ways you can decorate and organize your home using pallets! 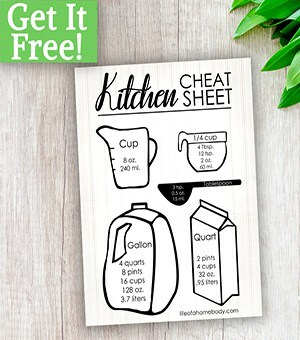 I love the homey functional feel of them also! 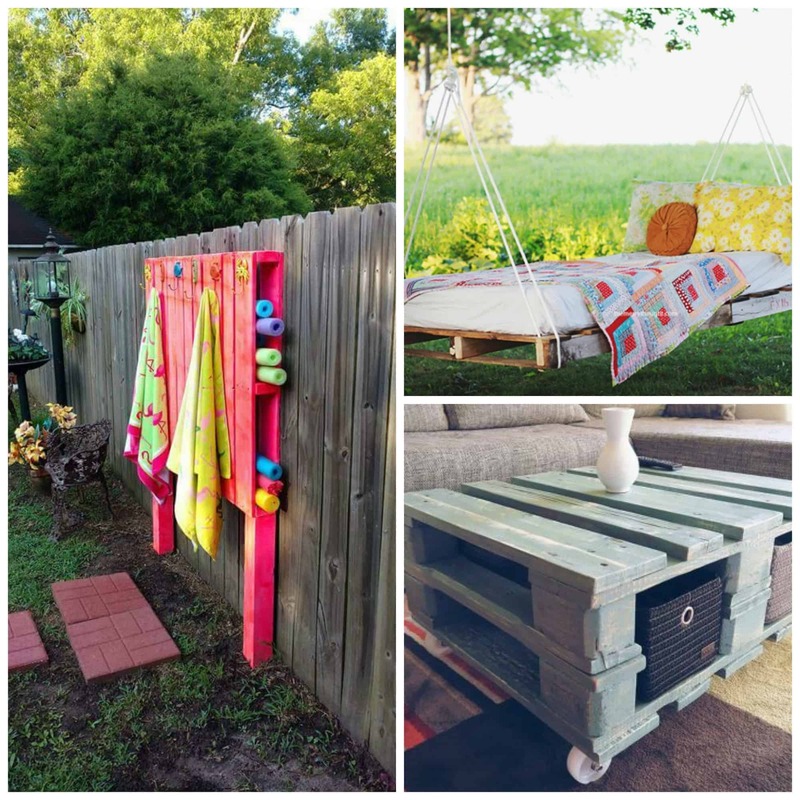 Have you seen a favorite pallet project you want to try? WANT TO REMEMBER THIS? 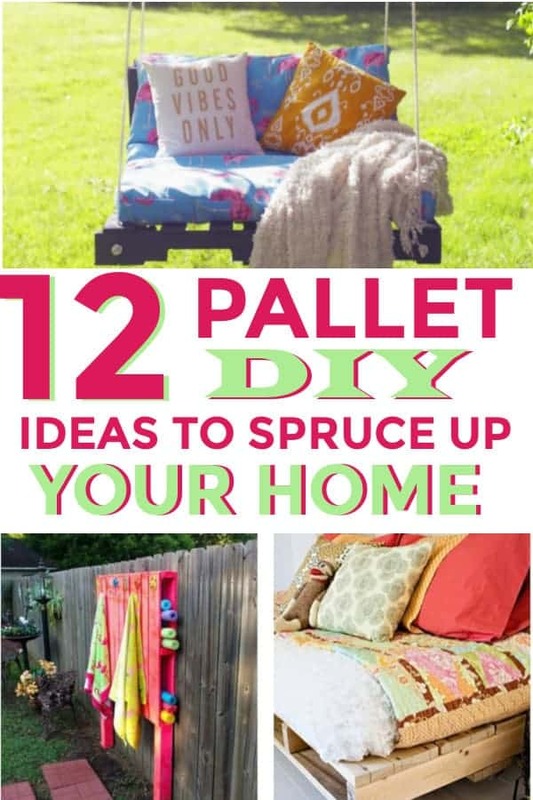 SAVE THIS PALLET IDEA LIST TO YOUR HOME DECOR PINTEREST BOARD!